2018 Spring Series is now concluded. Thanks to the event setters: Simmo, Rainbow, Newton, Dave, Rick and Len. 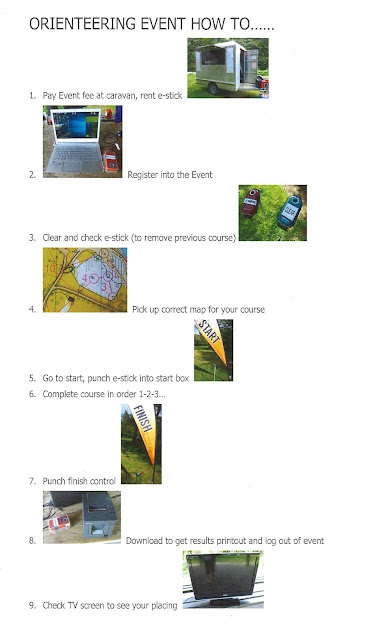 Thanks also the the Taranaki Orienteering committee for their support. Thanks to Rick and Mary for hosting the final event BBQ. We all hope to see all you participants at the Summer Series which will kick off in February. 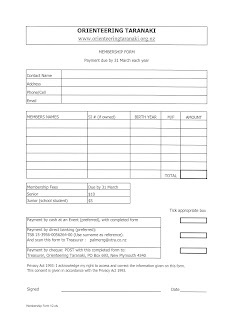 Anyone who wishes to contribute by setting an event should contact Len on 0274353092. 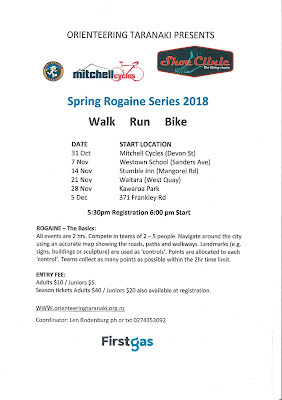 Cheers Len Rodenburg Orienteering Taranaki Rogaine Co-ordinator. 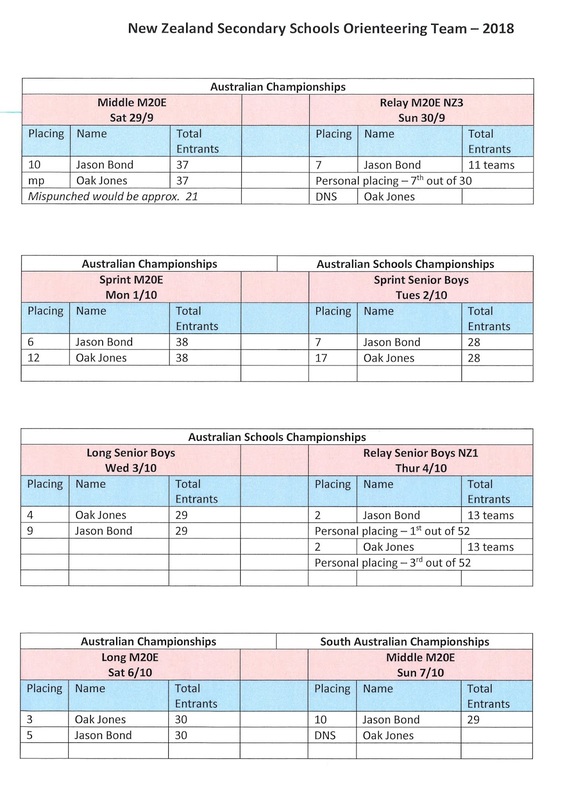 Excellent results from the recent champs in Aussie. Well done to those who finished and those that tried a harder course than last time. The Huatoki Domain can be hard to navigate around and some of the features are very hard to find unless you are standing on top of them! Thanks to Oscar, Thomas, Dave and Nick for helping to pick up and to the others who offered. Big thanks also to Jacqui for all the help setting the event. Event starts at 12pm and the course closes at 3pm. Please park on Huatoki Street above the tennis club, the start will be below the tennis club next to the river. Come and test your skills in the small, but surprisingly interesting Huatoki bush area, 3 courses on offer, pay once and try as many as you like……. Compasses will be useful but not essential, the club will have a limited number available to borrow on the day. Please note all courses cross Huatoki Street next to the one way bridge and there are several very steep areas and cliffs in the domain. Rogaine in Inglewood created by the Simmo family. 90 minute walk or run or bike (you choose). Bring a pen to answer the questions. No compass or other training this time as the area is not suitable. Did you enjoy that variation on a normal orienteering event? It was fun for me to set. Well done to everyone who tried the strip maps. Also congratulations to everyone who managed the short course without control descriptions, you had the control numbers but it wasn't my plan to not show the text descriptions. Sorry. 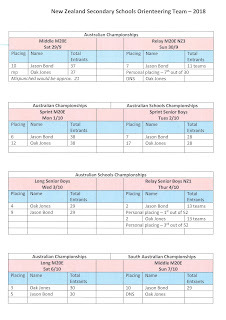 Win split results are here but we don't have everyone as some of you forgot to download and get your results printout. Just because your time shows on the screen, doesn't mean you have downloaded.